You'll retrace some of Charles Darwin’s route of 1835 with superb naturalists and in much greater comfort than he experienced: you'll be pampered by an outstanding crew, dine in style and enjoy the views from large picture windows in the comfort of your spacious stateroom. This 9-day adventure is designed for those tight on time, but still want a comprehensive experience. The 8-day cruise is combined with a quick overnight stay on the mainland to facilitate international flight connections. 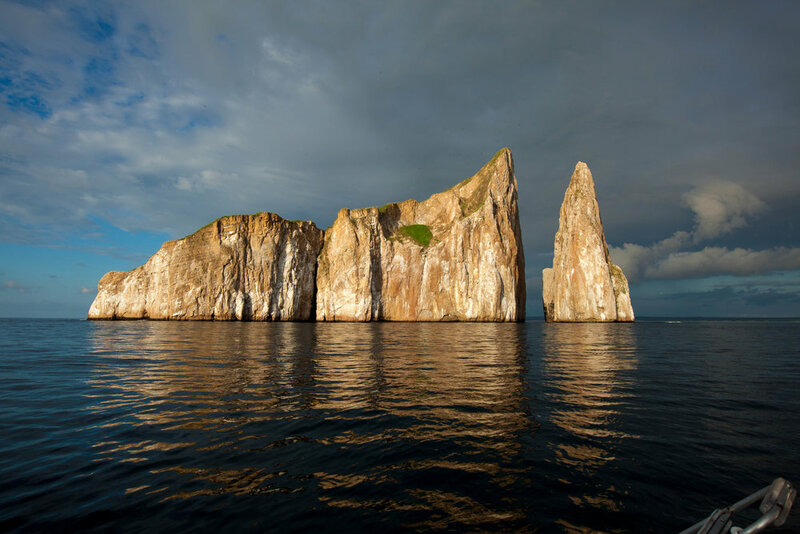 Select between our Eastern and Western routes, two of the most inclusive yacht itineraries in Galapagos. Both routes visit many islands. One route focuses on the western islands including visits on Floreana, Isabela and Fernandina; the other route focuses on the eastern islands including visits on Española, San Cristóbal and Genovesa. Naturalist-led shore excursions and snorkeling provide guests with intimate encounters with wildlife. An elegant base for 16 discerning guests to discover the islands. Stabilized. Comfortable. Spacious. Freshly prepared and beautifully presented, healthy cuisine fuels the day's activities. Most flights will arrive Guayaquil late in the evening. A hotel room has been reserved for you at the Wyndham Guayaquil for the brief overnight stay before your departure to Galápagos the following morning. You may wish to consider adding a buffer day simply to guard against flight delays, or simply spend extra time exploring Guayaquil. You’ll be transferred back to Guayaquil Airport for your 2 hour flight to Baltra, Galápagos. Upon arrival, you will be escorted to the VIP arrivales lounge where staff will collect your passport and facilitate your entrance formalities with the Galápagos National Park. 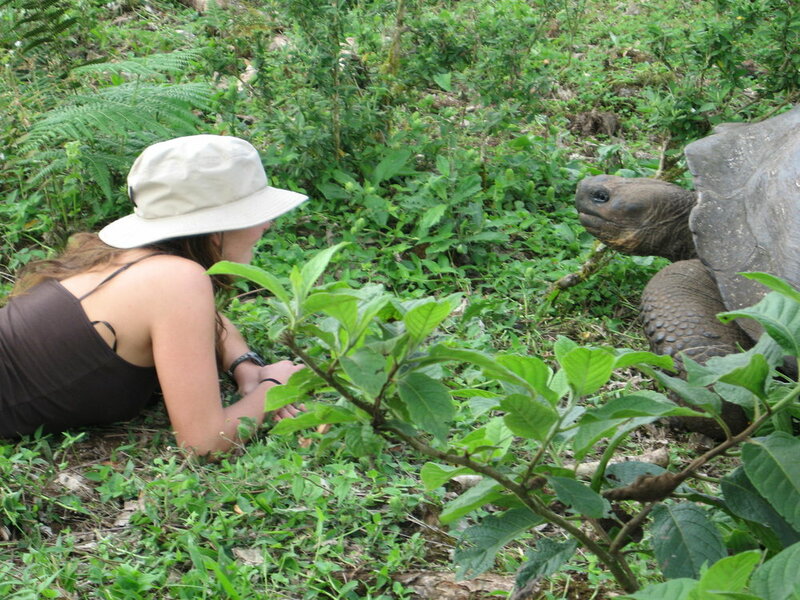 ONce you’ve collected your luggage, you will transfer from the airport across the Itabaca channel to the Island of Santa Cruz for lunch in the highlands and the opportunity to search among the lush grasses for grazing giant tortoises. Time permitting, explore a lava tunnel. Continuing to the town of Puerto Ayora, you’ll visit the Charles Darwin Research Station, stop to check the fit of your wetsuit, before boarding INTEGRITY to begin your cruise. Using INTEGRITY as your home, you'll cruise the islands spending as much time ashore as the Park rules permit. 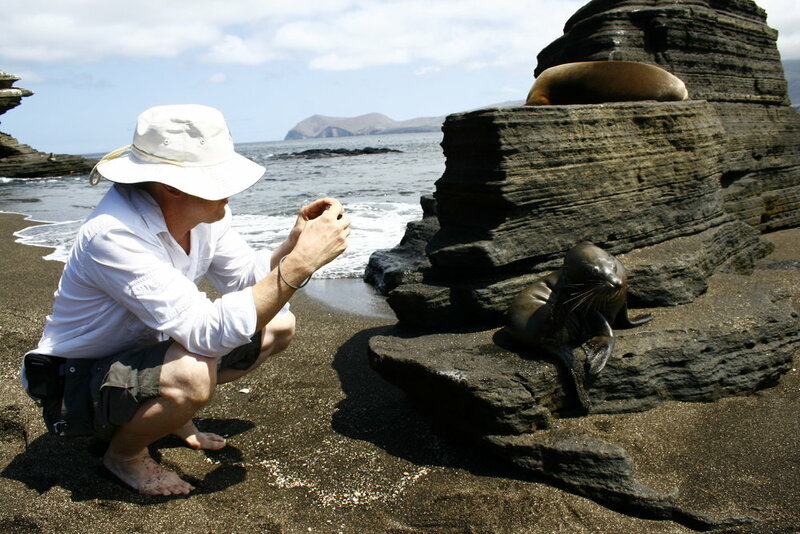 With our licensed, INCA-selected naturalist guides, you'll learn about the birds and animals, geology, marine life and oceanic systems of the Galapagos Islands. 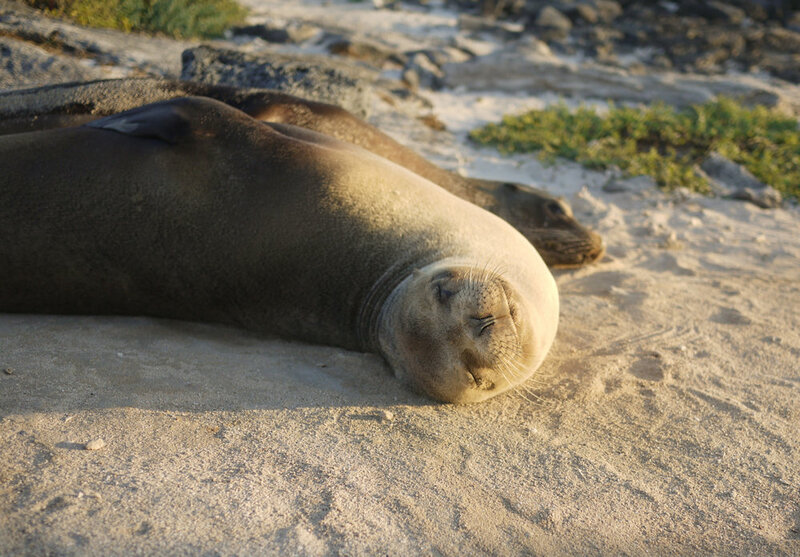 One of the highlights and an integral part of any visit to the Galápagos is the opportunity to swim and snorkel with the marine life—tropical fish, sea lions, turtles and sometimes with penguins! On most days, you'll snorkel at least once, some days twice. While back on board, you’ll enjoy delicious meals, complimentary WiFi, and weekly laundry service. From anchorage in the Baltra harbor, say "adios" to INTEGRITY and her dedicated crew and return to the Baltra airport for your flight back to the Ecuadorian mainland, where a dayroom will be waiting for you to relax before your late night international departure. 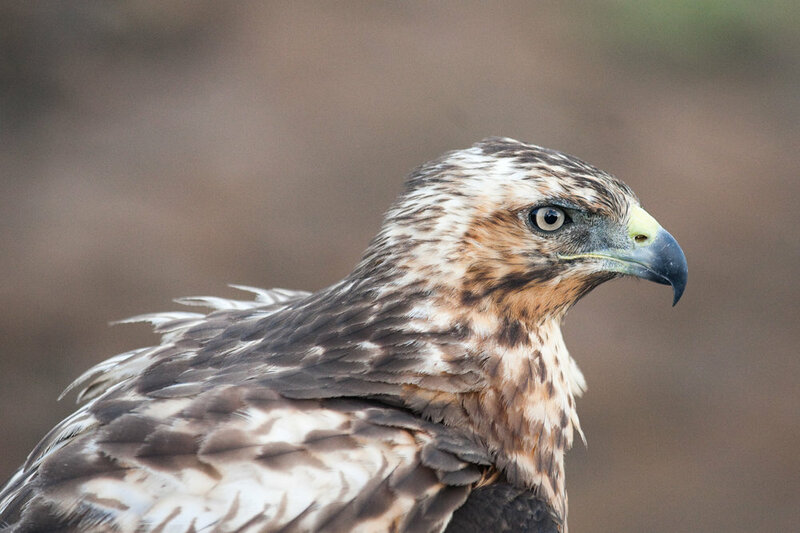 Explore more of Ecuador with visits to the Andean highlands, Amazon Jungle or Peru. A variety of options are available. 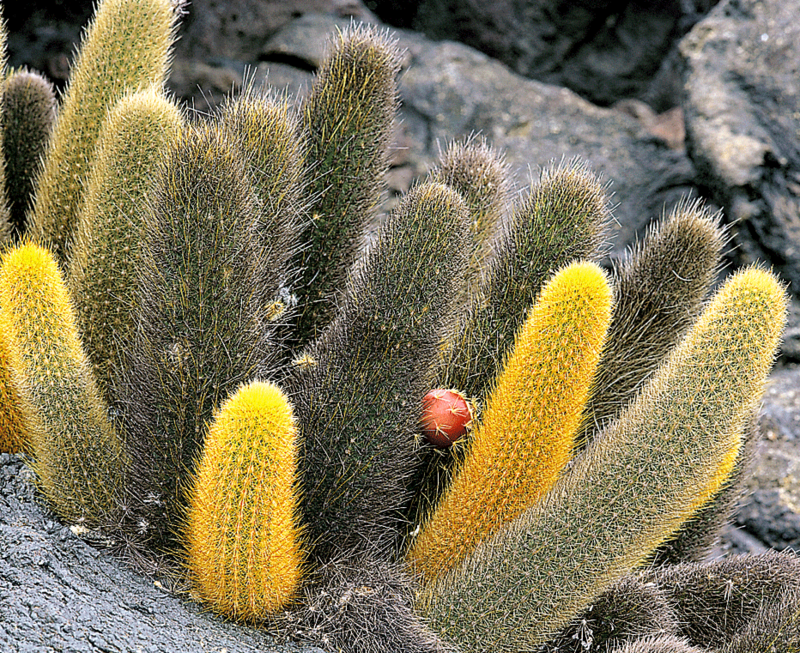 Galápagos Adventure operates weekly year-round. All prices are per person, double occupancy unless otherwise specified. Save up to $1000 per person on select 2019 departure dates. Please call, email, or use LiveChat for details. Single use of a double occupancy stateroom is 1.95 x the per person cost. Gratuities for naturalist guides and yacht crew. Gratuities are always at the guest’s discretion however the recommended amounts are $100-$150 per guest for the naturalist guide and $200-$300 per guest for the yacht crew. What is the difference between the East and West routes? 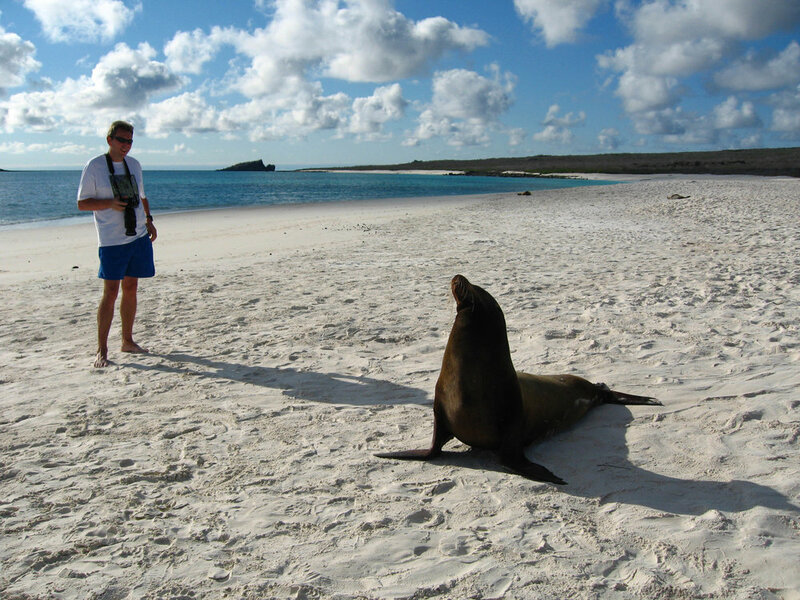 The Galapagos National Park has licensed INTEGRITY to carry no more than 16 passengers, without exception. INTEGRITY will operate with a minimum of four passengers. If there are fewer than 4 passengers, guests will be given the opportunity to transfer to an alternate departure at no additional charge, and will be credited up to $250 per person toward costs to cover airline change fees (restrictions apply). What is the policy regarding children? For individual bookings, the minimum age is 8 years. Children ages 8-17 receive a $500 discount (maximum 3 discounted children’s rates per family). There is no minimum age restriction on private charters. INTEGRITY can accommodate a limited number of single guests in single staterooms with a supplement and also accepts singles on a “willing to share” bases with no additional supplement. Guests may reserve a Standard or Owner’s Suite as a single but at 1.9x the double rate. How large are the staterooms? The King-bedded Owner’s Suite is 350 ft² and spans from port to starboard. Standard twin/king/queen staterooms are 150 ft². The single stateroom is 120 ft². How many naturalist guides will be aboard? There is one naturalist on board for up to 16 guests. INCA personally selects all naturalist guides serving aboard INTEGRITY. Naturalists dine with guests. Is a second guide an option? A second guide may be arranged for an additional charge, for both FIT and charter bookings. This allows guests to travel at their own pace and is popular with bird-watchers, photographers, those with mobility issues, and families. There are 10 crewmembers, normally consisting of Captain, Helmsman, Engineer, assistant Engineer, Chef, assistant chef, Barman, Seaman, and 2 Stewards. Will INCA book the Galapagos flights? For logistical reasons, INCA will book guests’ Galapagos flights to coordinate arrival times with all other guests. 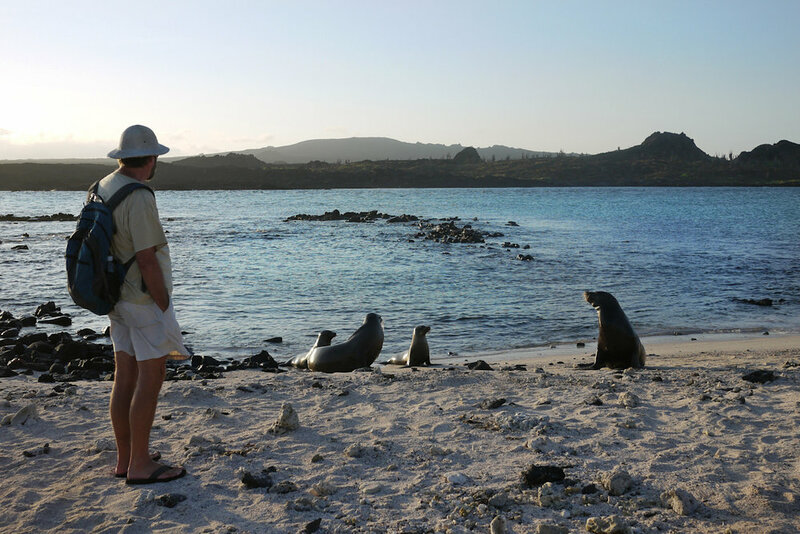 May guests arrive and depart on other Galapagos flights? For operational reasons, the group transfer is timed to coincide with a specific arrival and departure. Guests arriving on other flights risk missing the transfer or long wait times at the terminal. Flights used will be based on airline schedules and availability at time of booking. 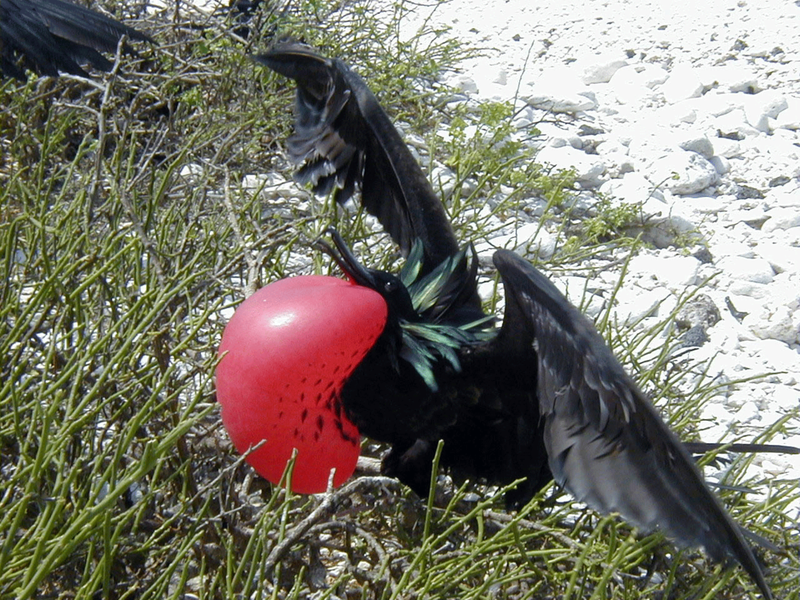 Can guests pre-pay their Galápagos Transit Control Tax? Yes. INCA will arrange all paperwork and pre-payment of the Galapagos Transit Control Tax to save guests having to wait in line at the airport. 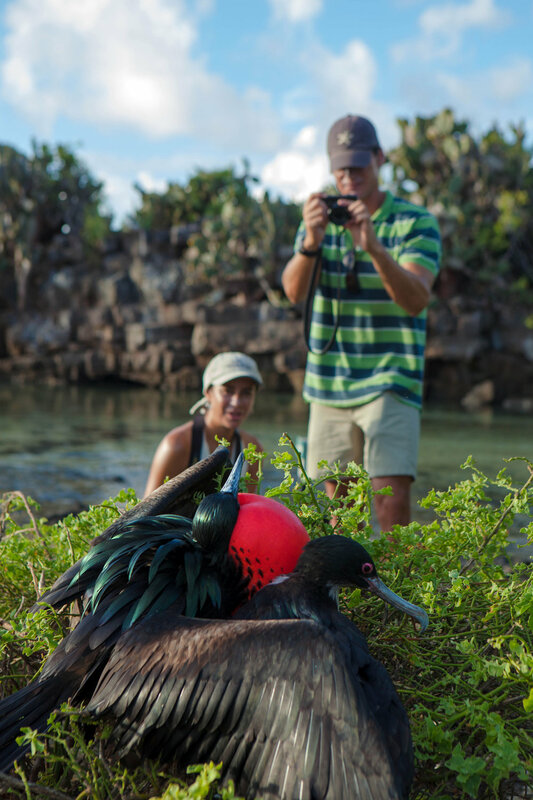 Can guests pre-pay their Galápagos National Park Fee? Yes. Guests may pre-pay their National Park entrance fee. Upon disembarkation at Baltra Airport, guests must still present their passports for verification. Tips for porters and drivers are included. Tips for guides, naturalists and yacht crew are not. Due to Ecuador’s tax and labor regulations, we ask all gratuities to be paid in cash at the end of the cruise. Can guests pre-order their wetsuit? There is no need to pre-order a wetsuit, unless a custom size is required. In such cases, we recommend bringing your own, as the dive shop stocks standard sizes ranging from XS – XXL. Can guests scuba dive while on tour? Galápagos National Park rules prohibit scuba diving from any vessel other than licensed dive boats. Guests may arrange day-dives from Puerto Ayora independently either before or after their cruise. INCA does not arrange scuba diving due to liability limitations. How can guests pay their bar tab? Bar tabs may be paid in cash or credit card aboard INTEGRITY. May I see a bar list? A sample bar menu is available upon request. May guests bring their own alcohol or order special labels? Guests may bring their own bottles in their checked luggage. Ecuadorian law allows, at this date, up to three liters of alcohol per person to be brought into the country. Special labels may be pre-ordered at applicable Ecuadorian rates. What about special dietary restrictions? INTEGRITY can cater to almost all dietary preferences, allergies and restrictions. During the booking process, guests will have the opportunity to specify any dietary preferences, allergies or limitations. Hard to source or highly specialized provisions may require a supplement. Is there Wi-Fi aboard and during trip? 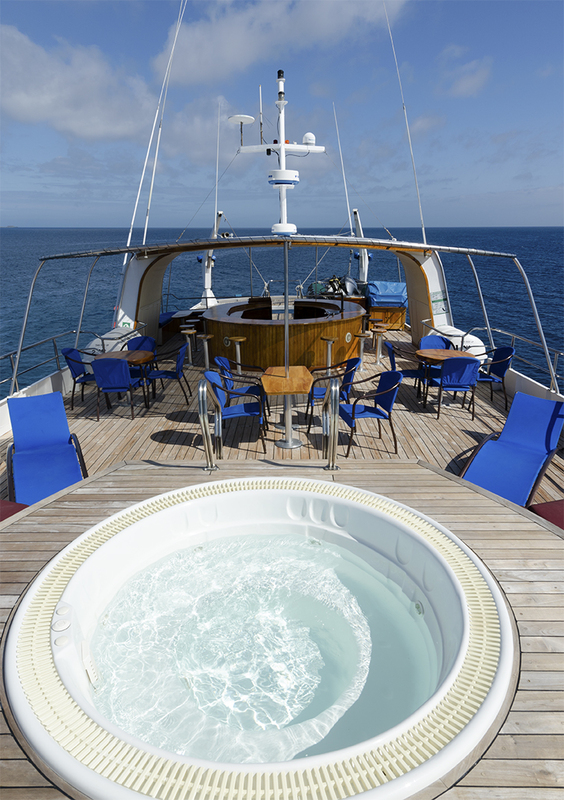 A satellite-based marine Wi-Fi system has been installed aboard INTEGRITY. It is available free of charge. More information is available on request. Is there a satellite phone aboard? Yes, there is satellite phone service aboard INTEGRITY. Usage will be billed to guest. Satellite phones may also be rented at home and brought on the trip. What entertainment is on board? Each stateroom is equipped with DVD player and digital music speakers that guests may connect with their phone or music source. The library is stocked with Galapagos titles and DVDs, cards and a few games. A projection system is available for naturalist presentations and guest use. Minibar with individual water bottles; hand soap, shampoo, conditioner, body wash; daily towel service; weekly laundry service.